It feels like forever since I’ve sat at my laptop and wrote a blog post but it really hasn’t been that long. I hope you’ve all had a positive start to 2016. 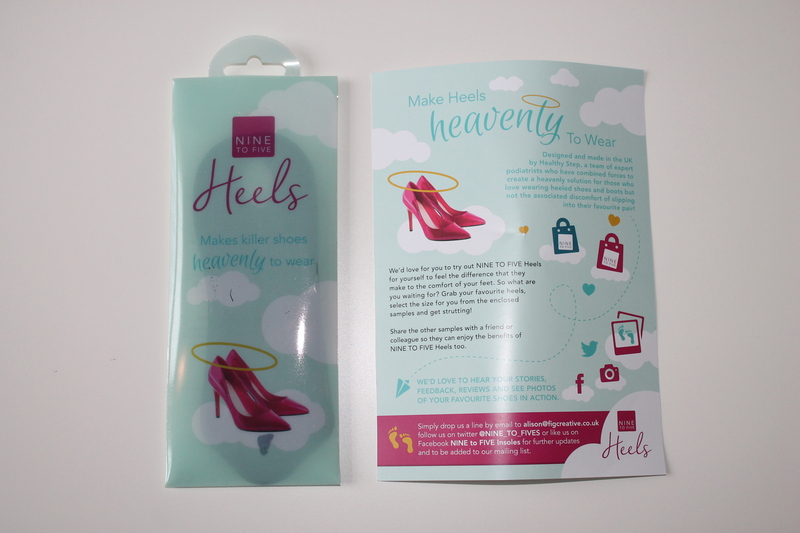 Today I’m introducing you to a solution for sore heels after wearing heels its Nine to five heels. If your like me and don’t wear heels because of the burn they cause then this is perfect because I know I will now be wearing heels more often. They have a variety of benefits such as them being hygienic as they are made from a flexible gel and can be easily washed keeping them fresh as well as having a peppermint essence. Once I had tried them I had no trouble in wearing heels for a whole night instead of usually changing into flats an hour after. It’s a great solution and they also come in a variety of colours hot pink, black and clear and sizes suitable for everyone. I really recommend Nine to fie heels as they’re such a perfect solution and I wish I discovered it sooner. What are you favourite heels to wear? Comment below.